Good morning! Welcome to Day 3! There are 17 Funny Bones stamps and 9 Inspiration stamps. These stamps are available to purchase on the Riley and Company website on Friday 13th November! 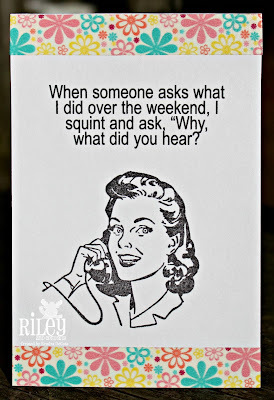 Today I am showing you two new sentiments. 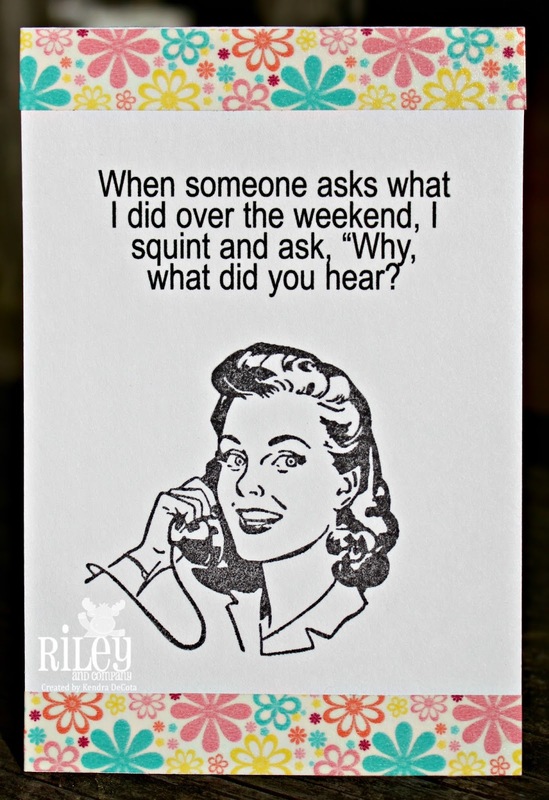 One is called When Someone Asks What I did over the Weekend. I have paired that with Retro Folk Phone Doris. 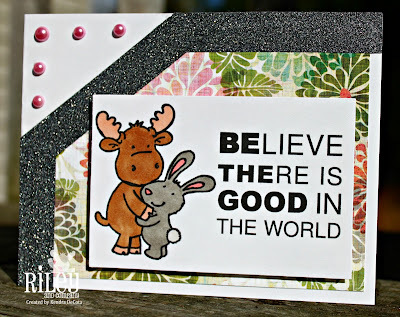 The second new sentiment is called Believe There is Good. I have paired this one with Riley stamp Bunny Hugs. When you are finished here, please head on over to the rest of the Design Teams' blogs and leave them some love! Don't forget to come back tomorrow for more Inspiration with the Design Team!